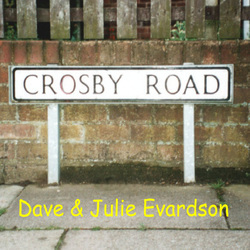 129 Crosby Road was the house on Grimsby's Nunsthorpe council estate where my family lived between 1953 and 1965. It's where I passed my childhood - still very clear in my aged memory, and I always knew I'd write a song to preserve that bitter-sweet nostalgia. The temptation to make it the title song was irresistable - especially with the gift of that ready-made front cover design! Click here for track listing and narratives.